Juice pineapple the right way with an Angel juicer. The twin-gear Angel juicer is known for its superb results with leafy greens and root vegetables. But it can also do well with various types of fruit. We've heard from users who've had difficulty with pineapple. 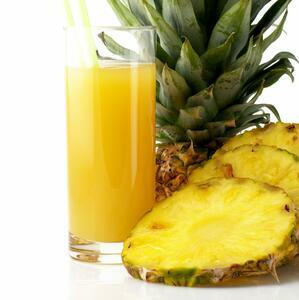 In this article, we'll show you how to become a pineapple juicing expert with your Angel juicer. Overripe fruit is difficult for any jucier to handle, but especially for twin-gear juicers like Angels. 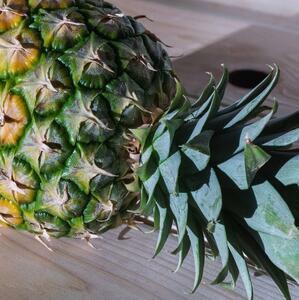 When selecting a pineapple, be sure to choose one that is green and firm. It should have bright yellow flesh, not brown. The biggest mistake people make when juicing pineapple in an Angel is to overfeed it, either by putting in too large of pieces or pushing it in too quickly. We recommend cutting pineapple into 2x2x2 cm pieces and feeding it slowly. 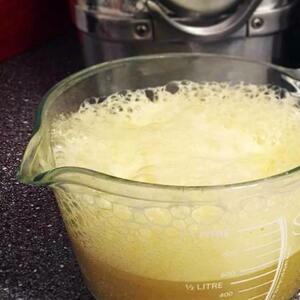 Juicing pineapple in an Angel juicer will make a lot of foam, but don't worry about it. It is due to the consistency of pineapple flesh and the tight space between the rotating gears. If you prefer not to have foam, just run the juice through a regular kitchen strainer before drinking it. 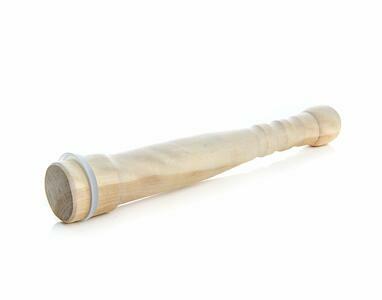 The Angel juicer comes standard with a wooden pusher, but they recently have made available a wooden pusher with an integrated silicon ring. It might not sound like much, but that ring makes a huge difference for softer produce like pineapple. By creating an air-tight seal, juice and pulp are prevented from backing up the feeding tube. Just make sure to use it slowly, as overzealous use of the sealed pusher could force juice into the motor. The pusher is available here. Don't forget - if you purchased your Angel juicer from us, you get all parts including the silicone pusher at a significant discount. 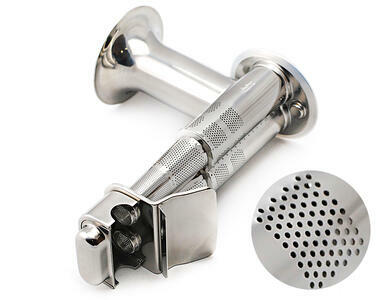 Another optional accessory for the Angel juicer is a coarse screen. This has larger holes and is suited for softer fruits like berries, peaches, and pineapple. It can be worth it for someone who wants to juice these types of fruit regularly, as it lets the juice flow more freely and reduces backpressure. It is also available in our Angel parts section. If you don't have an Angel juicer but would like more information, you can read about it here, including a detailed review and the differences between models.